After 20 years of service in the United States Marines, Gunnery Sergeant Emir Hadzic quietly took off his uniform, packed his bags, and prepared to live life as a civilian. But before he retired to his hometown of St. Louis, Gunnery Sergeant Hadzic one more duty to attend to. Hadzic was a young refugee when his family fled from the conflict in their home country of Bosnia. In the United States, the kindness and compassion he received from Americans drove him to serve his adopted country. Hadzic enlisted in the U.S. Marine Corps, and during the course of his service deployed nine times—including multiple combat tours in Iraq and Afghanistan. Now, the refugee-turned Marine returns to civilian life amid a wave of controversy surrounding refugees. Hadzic, a Veterans for American Ideals leader, has become an outspoken champion of America’s refugee resettlement program, arguing that refugees not only strengthen America, they fight for it, too. 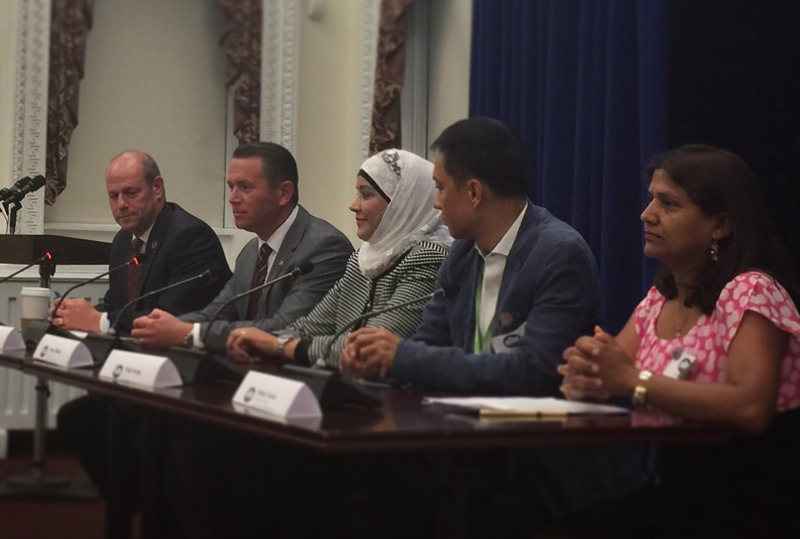 That’s why the Gunnery Sergeant was invited to the White House during National Welcoming Week, where he spoke on a panel of refugee community leaders who have made great contributions to the country. Other speakers included President Obama’s chief of staff Dennis McDonough, Director of the Domestic Policy Council Cecilia Munoz, U.S. Customs and Immigration Services Director Leon Rodriguez, and former Secretary of State Madeleine Albright. National Welcoming Week comes as a number of politicians, state officials, and media pundits malign refugees as threats to security. 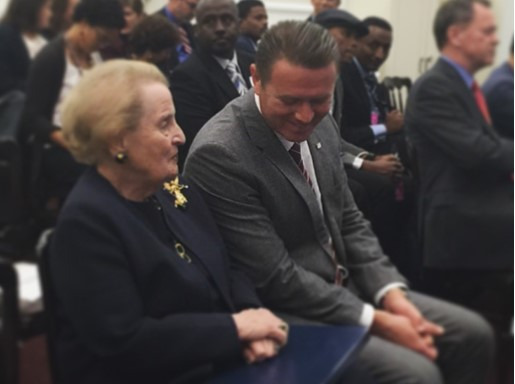 For Hadzic, welcoming refugees is not only a matter of national security, it is vital to upholding American values. “If we sacrifice our freedom for security, we’ll wind up with neither,” said Hadzic, citing America’s long-standing tradition of extending its hand to the downtrodden. Watch a recording of Gunnery Sergeant Hadzic on the Welcoming Refugees panel here.